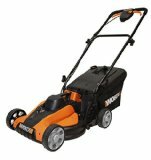 Below the mower comparison guide you’ll see some information on what to look for in an cordless lawn mower, as well as excerpts from more detailed reviews. Please have a read through the full review if you see something of interest. Whilst still considered quite a recent innovation, and not necessarily an essential feature for a number of reasons that we’ll go into, there’s no denying that battery powered or ‘cordless’ lawn mowers are becoming increasingly popular among home owners. 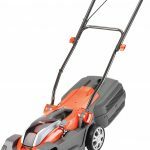 Despite the disadvantages there are also many good reasons why buying a cordless lawn mower might be the right choice for you. One way to think of cordless lawn mowers is as a happy medium, just like in the famous fairy tale, neither too hot nor cold. 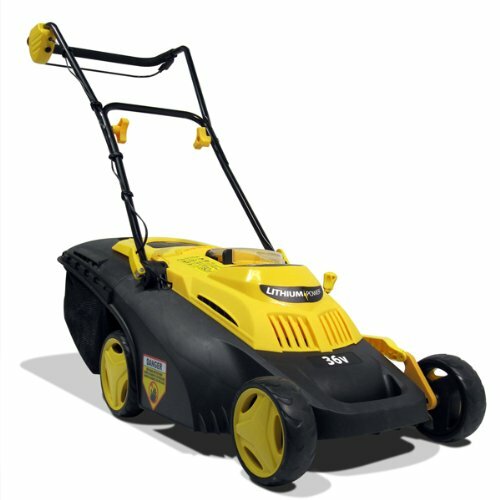 If your garden is large enough to warrant a small petrol powered mower, but you’d rather do without all the fumes, engine maintenance and noise that comes with one, then a battery mower could well be your best option. Similarly if your garden isn’t particularly large but is littered with obstructions such as shrubs and fencing, or your nearest power socket is in a particularly inconvenient location, then again cordless could be the way to go. 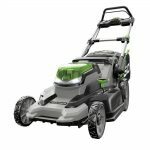 One of the major factors that has driven the recent surge in popularity of cordless lawn mowers are the constant improvements to battery technology. It’s interesting to note that battery powered lawn mowers themselves are not a new idea, indeed there are models dating back as far as the 1970’s. The difference however is that these early models were about 10 times the weight of their modern counterparts. The reason? The weight of the batteries. Not only does modern lithium ion technology mean today’s batteries are lighter than ever, but they are also far more efficient, retaining charge for longer and proving to be far more useful as a result. The other great advantage of lithium ion batteries is that unlike older types of rechargeable battery, they don’t suffer from what’s known as a ‘memory effect’. This used to be a problem whereby a battery would lose its ability to charge fully if it had not been fully discharged previously. This is not a problem with lithium ion batteries, they can be partially discharged, or charged with no lasting adverse effects for far longer. Freedom of movement allows you to travel anywhere on your lawn without having to worry about tripping over a power cable, or worse accidentally cutting through it. Expensive. Unfortunately despite the advances in technology, one thing hasn’t yet caught up with cordless lawn mowers and that’s the price. 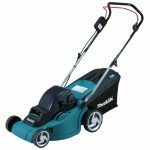 Often retailing at at least double the price of their mains powered counterparts, cordless mowers are by no means a cheap investment. The biggest players on the market as far as cordless lawn mowers go are Bosch, Greenworks, Black & Decker, and Worx. Bosch in particular have a lot of experience in this field, being one of the first manufacturers to fully exploit the advantages of lithium ion technology, in combination with nearly a century of expertise in designing tools including lawn mowers. 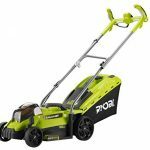 Here is an excerpt from our review of a mower produced by one of the biggest players in the cordless mower market, for further Green works lawn mower reviews, plus reviews of their other tools click here. What this mower also features are several more standout/unique features set it aside from other mowers of a similar size and cost.